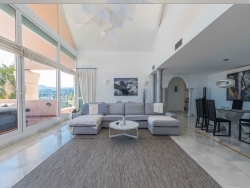 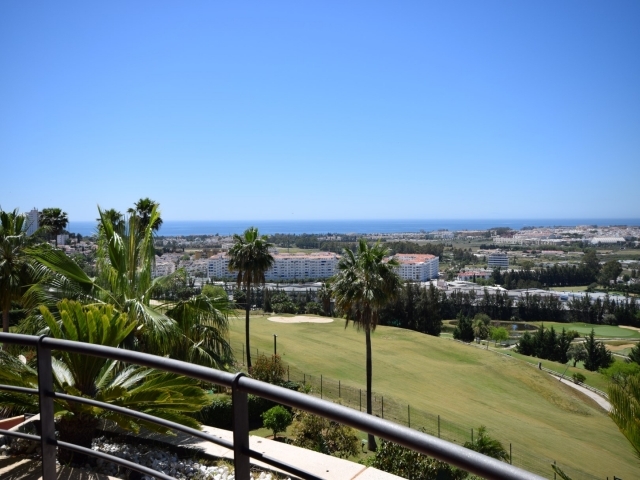 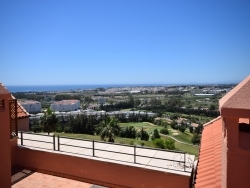 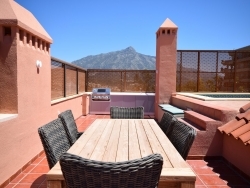 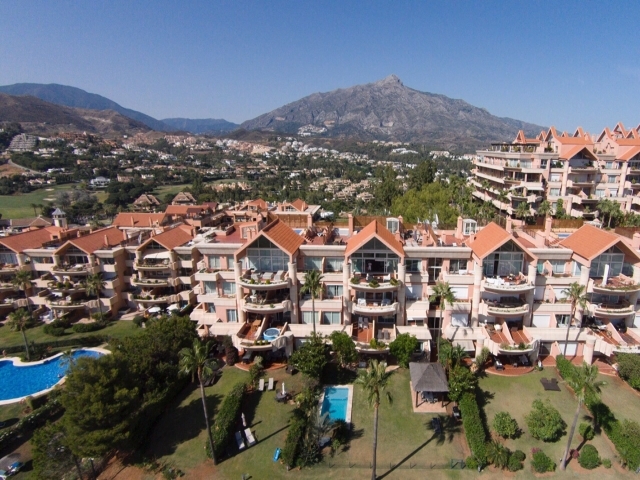 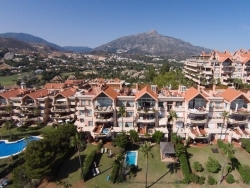 Excellent PENTHOUSE with panoramic 240 degreee views over golf, mountain and the Sea. 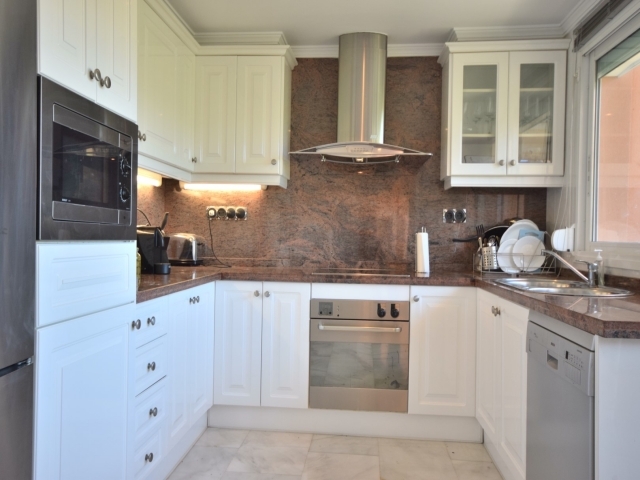 Decorated to the highest standard and recently refurbished. 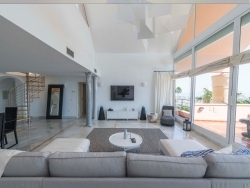 Large terrace from the lounge with sofa and relax area. 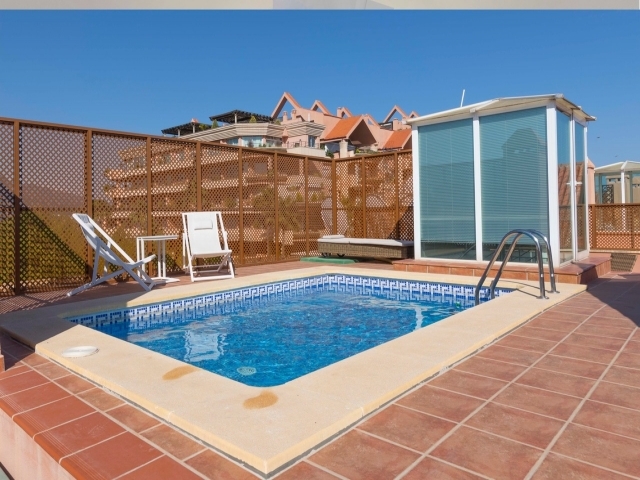 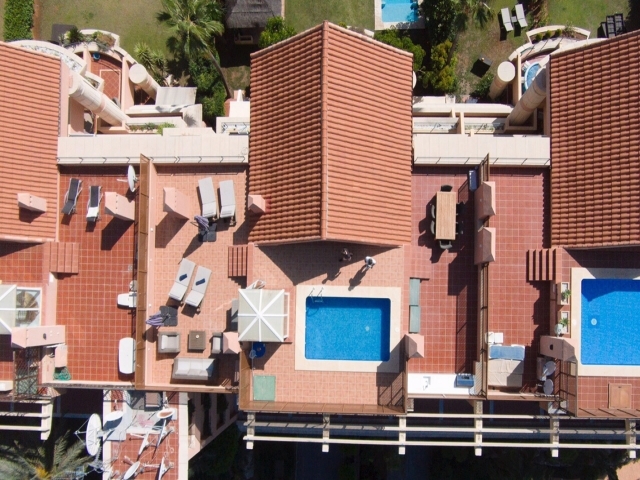 Roof terrace with private plunge pool and 4 sunbeds. 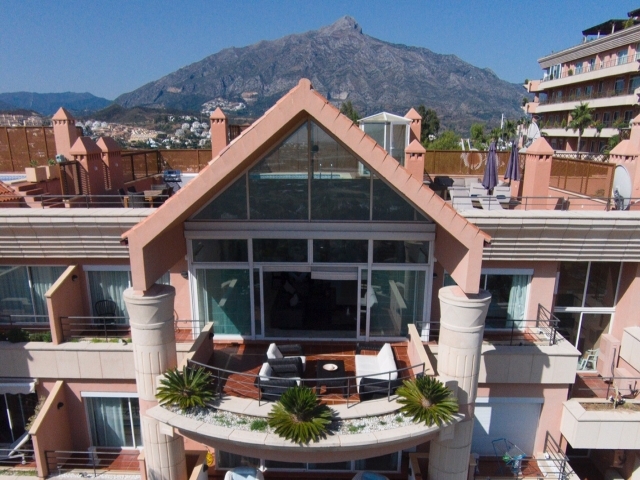 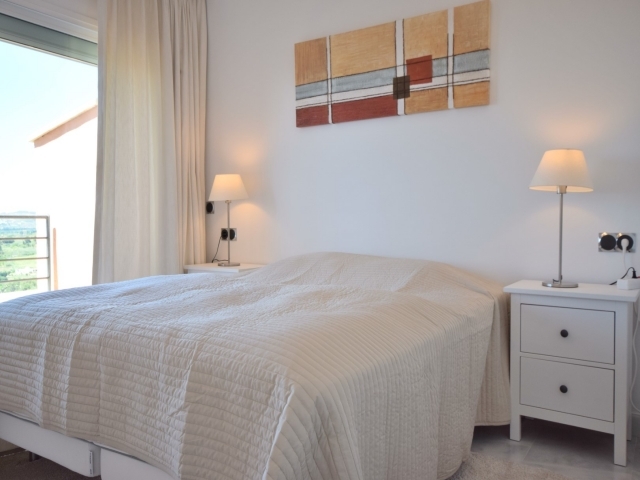 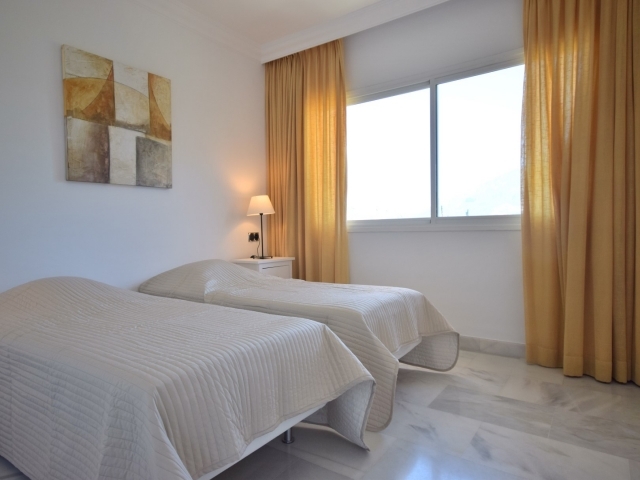 ( Terraces over 200m2) Short drive to Banus and the beach. Large living room with double height ceiling and lots of light, to the left hand side is the spacious master bedroom with en suite bathroom. 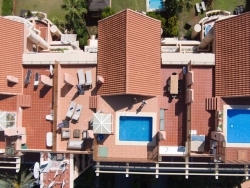 To the right there are two guest bedrooms sharing a second bathroom. 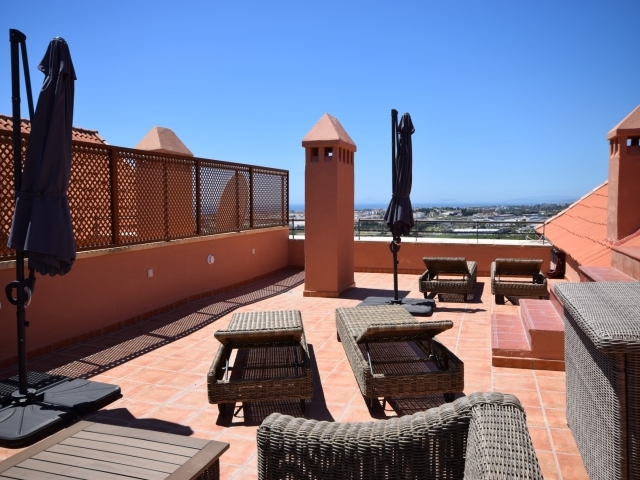 Staircase leading up to the large roof terrace with out door kitchen and BBQ area, 4 sunbeds, lounge area and dining table. The roof terrace also has a private plunge pool. 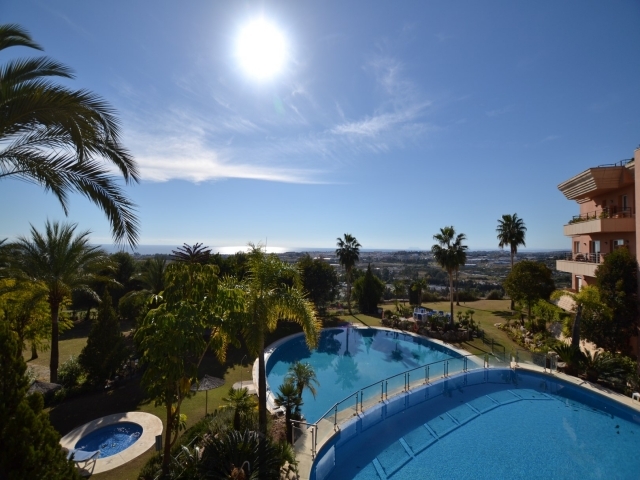 Stunning views to the Mediterranean an Gibraltar. Bang & Olufsen speakers with Airplay and Spotify Connect, Apple TV, Playstation 4 Sunbeds, dinner table, sofa and 2 lounge chairs on roofdeck. 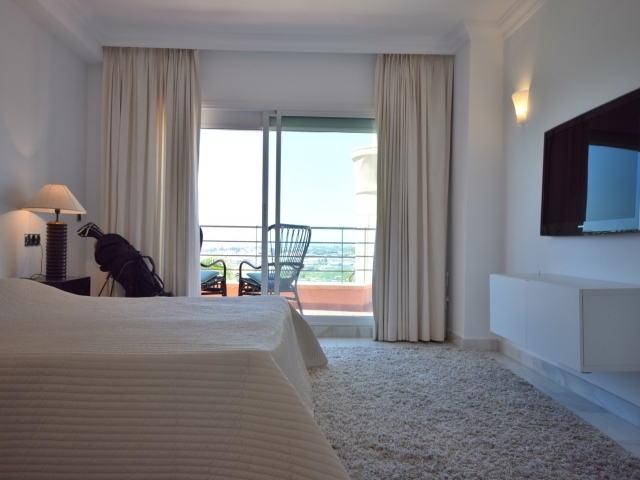 The apartment has 2 flatscreen tv:s with cable TV, Bang & Olufsen speakers with Airplay and Spotify connect , Apple TV and Playstation 4 that plays DVD´s and Blue Ray discs. Wi-Fi and internet connection in apartment and on the roof terrace. Also a Nespresso machine and regular coffee machine. 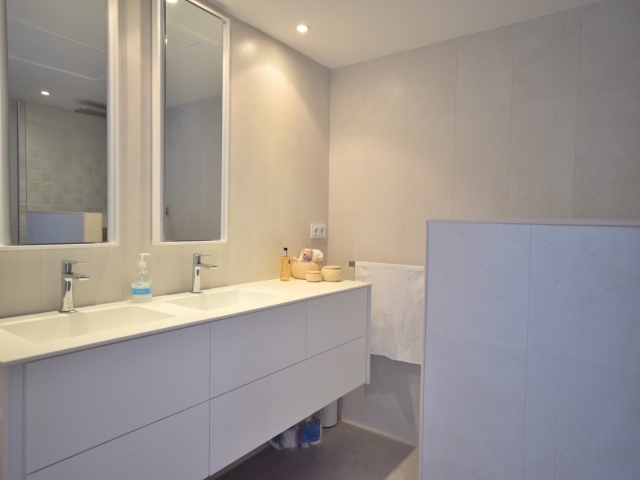 2 underground garage spaces that are easy accessed by elevator that is located just outside the flat.